Thinking about ways to attract and retain young and ambitious talent to your business? Pet food company Purina suggest that they may have the answer that you’ve been looking for… Let your staff bring their four-legged friends into work. According to their research, almost half of millennials would love to have the option to bring their dogs into the office, and they’ve even launched an initiative to support employees who are keen to give it a go. The Pets at Work toolkit is a free resource that aims to give leaders everything they need to make their spaces dog-friendly, and it even promises ongoing support to help you to make it really work for your company. A little skeptical? You’re not alone on that one. But there are some real, tangible benefits that you might want to consider before you dismiss the idea as being barking mad. 24% of companies that participated in the scheme reported better working relationships. 40% said that it created a better work-life balance and a whopping 48% of people thought that having dogs in the office slashed stress levels. It’s easy to see how these figures could make a positive contribution to your bottom line. It’s definitely worth noting here that this is not a blanket solution that will suit every organisation out there. If you run a catering business, then there are obvious hygiene implications that you may quite simply not be able to work around. Equally, if you’re customer facing, then you need to consider how your buyers might feel about being faced with your employees’ furry friends. Allergies may be an issue and of course, there are some people who are just not particularly keen on canines. Still though, the world of work is ever changing and evolving and plenty of forward thinking businesses have benefited from similar initiatives. 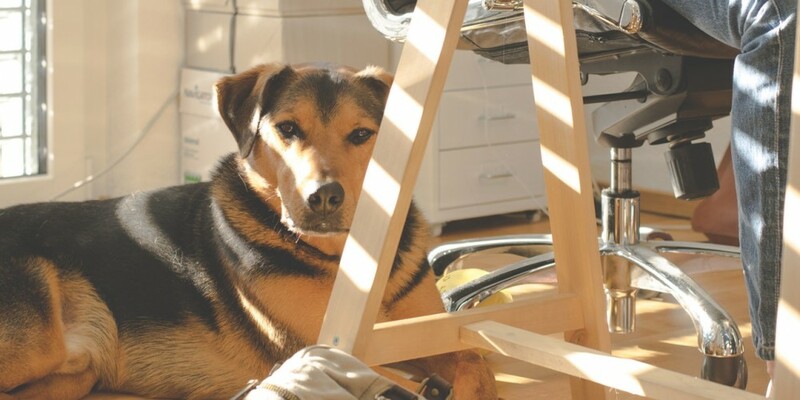 If a dog-friendly working environment is something that you want to consider, then there’ll be many pros and cons to assess, and potentially a lot of work to take care of in the background before you roll it out. For some though, it may just be viable. It could even help you to create the cultural edge that could propel your business forward. Where do you stand on the issue? Do you think that you’d ever seriously consider it for your organisation? Or is it just a fad that has no real place in any serious business strategy? If you want to make some changes to the culture of your business, then we can help. Get in touch today to arrange an initial free consultation.